Home » Redefining the standards of Marathon- Kipchoge shatters the world record! Redefining the standards of Marathon- Kipchoge shatters the world record! The world is yet to see the capabilities that a human body can achieve to its fullest potential. Kenya’s Kipchoge is the best example that proves this fact once again. The 33-year old Kenyan who is 5 foot 6 inches tall, and weighs 115 pounds ran an official time of 2 hours 1 minute and 39 seconds along the flat inner-city course at Berlin. It was not just setting a historical record, but rather shattered his own by a minute and 18 seconds. It is the largest single improvement on the world record in more than 50 years since Australian Derek Clayton shaved almost two and a half minutes off the record in 1967. The 2016 gold medalist of the Olympics marathon, Eliud Kipchoge has dominated the same like no other for the past five years. He had won nine out of ten marathons that he entered to since 2013. “I lack words to describe this day. I am grateful and happy to smash the world record,” said Kipchoge who had won in Berlin in 2016 and 2017. The running-news website, letsrun.com commented on this achievement as “a performance so far superior to anything we have seen before that comparing it to another marathon feels inadequate”. The one another interesting fact about this victory was the specialty of the venue- Sunday was the seventh time the record has been broken in 15 years-each times it has happened in Berlin. It just gives you goose bumps to think about Kipchoge’s performance as Jon Mulkeen from IAAF points,” Imagine doing 200m reps in 34.60 seconds. With no rest in between 211 times over. That’s what Eliud Kipchoge did in Berlin”. Kipchoge’s world record also reminds us of the human endurance and what the body is capable of doing in terms of cardiovascular and muscle training. Only the most disciplined of the athletes can come even nearer to this level. 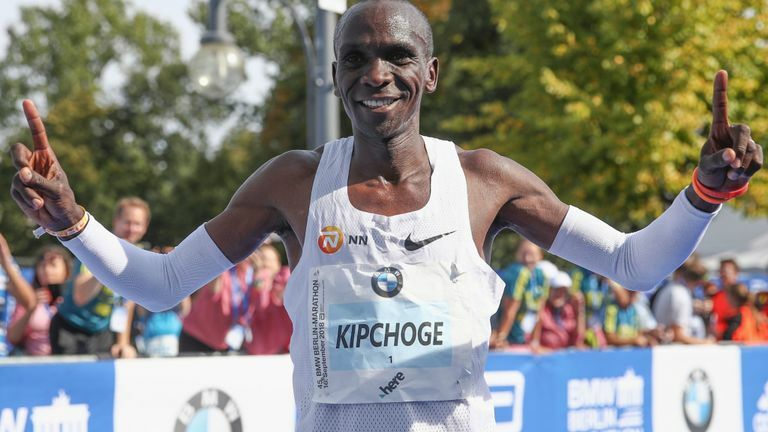 About Kipchoge, it is said like he is the one person who believes that only discipline can make one free. The undisciplined body is a slave to the moods swings and passions. It is not just about the legs but also about heart and the mind. Kipchoge’s extraordinary achievement should make us think way beyond the marathon. It shouts to the world about human capability and strength, both physical and mental.